It is essential to understand the causes of bipolar disorder, especially the risk factors for bipolar disorder if you are concerned about yourself or a loved one. It is easy to be confused about important issues with bipolar disorder symptoms and treatment. This so true today with so much misinformation and hype about bipolar celebrities etc flooding the media. However, we only partially understand the inheritance and genetics of bipolar disorder, and scientists and lay folk alike still have a lot to learn. However this is not the whole story. The third, and possibly most important but misunderstood component, is STRESS/TRIGGERS. There is definitely a genetic component, with some families showing much higher occurrences of bipolar disorder. The fact is, there is no conclusive medical evidence or agreement amongst experts on exactly what causes bipolar disorder. However, one widely accepted approach is that there is no single factor that causes bipolar disorder. Instead, a variety of genetic factors and disturbances of brain chemicals (neurotransmitters) provide a biological basis for making some people vulnerable to bipolar. A bipolar episode of either mania or depression can be triggered when a biologically vulnerable person is confronted with particular stressors. and stress reducers like exercise, are proving to be as valuable as medication for bipolar people. See this FACT SHEET on What Causes Bipolar Disorder? from The Black Dog Institute, a leading mood disorder research institute. There is definitely a genetic component, with some families showing much higher occurrences of bipolar disorder. An individual with a close relative such as a parent or sibling who is manic depressive is far more likely to also develop symptoms. However, this is not inevitable and not all family members will develop bipolar disorder, even in families where the overall incidence is very high. Strong evidence that genetics does not fully explain what causes bipolar comes from studies of identical twins. Remember, identical twins have the same genes. 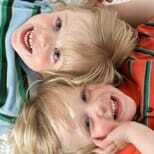 Yet in only 57% of cases of bipolar in an identical twin, does the other twin also turn out to have the disorder. If genetics were destiny, and if manic depressive illness was a purely genetic disease, then in 100% of cases, both identical twins would develop bipolar disorder. Family history is very important though, and should always be examined when trying to make a diagnosis. There is a 2% chance that an individual may have bipolar disorder – this rises to 10% with one bipolar parent, and 40% with two bipolar parents. Neurotransmitter disturbances definitely play a major role in causing bipolar disorder. Neurotransmitters are the chemicals that pass messages between the various areas of the brain. Research has shown that individuals with manic depressive illness have an imbalance in these chemicals. The brain is producing either too few or too many. Often there is also an overproduction of the stress hormone cortisol. Medication is effective in treating people with bipolar disorder because it can help even out the chemical imbalances, although in some cases exactly how or why the medication helps is unknown. Read more about bipolar causes and bipolar symptoms from the National Institute of Mental Health (NIMH). The missing part of the equation is stress. It is often stressors and triggers that tip a person with a biological vulnerability to manic depression over the edge into an episode of depression or mania. These stressors or triggers can be external pressures such as financial problems or difficulties at work. Frequently they are internal – stress we cause ourselves through the way we think about and interpret the events in our daily lives. There is a lot more we need to know about the causes of bipolar disorder. This insight would help us understand how bipolar disorder progresses and the best ways of living with bipolar. Hi, I was diagnosed with bipolar several years ago. I’ve been hospitalized several times, at times for going off the medication which resulted with manic or depressive episodes. I was wondering what your opinion is for going off the medication and replacing it with an alternative supplements? I take lithium carbonate and was interested in replacing it with lithium orotate which has proven to be successful for many. I’d appreciate some advice and guidance. Thank you very much.